From analyses of surface protein evolution to tweets on social media, scientists are gathering all the data they can to accurately predict influenza dynamics. Transmission electron micrograph of an influenza virus particleWIKIMEDIA, CYNTHIA GOLDSMITH, CDC/DR. ERSKINE L. PALMER, DR. M.L. 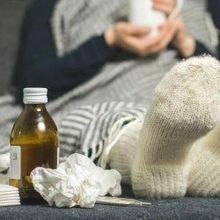 MARTINWith flu season upon us in the Northern Hemisphere, the perennial game of flu forecasting—the effort to provide real-time and forward-looking estimates of influenza cases—is underway. And each year, the Centers for Disease Control and Prevention (CDC) makes a competition of it, asking forecasting teams to come up with their best predictions for the timing, peak, and intensity of the season. The CDC provides weekly surveillance data of confirmed flu and outpatient visits for influenza-like illnesses from public health and clinical laboratories around the nation. But these data lag behind real-time activity and not everyone who gets sick with the flu goes to the hospital. To advance flu forecasting efforts, the agency launched its first forecasting challenge during the 2013-2014 flu season with a first-place prize of $75,000. Since then, the monetary award has gone away, but teams have continued to participate for the honor of providing the most accurate forecast for the start of the flu season, how bad it will get over the course of the season, and when cases will peak. For the last three flu seasons, Roni Rosenfeld’s team at Carnegie Mellon University’s Delphi Group has won the competition. 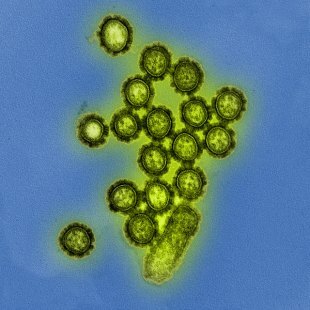 For the 2016-2017 flu season, for instance, his group predicted the season would peak around the fourth week of January (with an error range from the last week in December to mid-March) and would see the proportion of outpatient visits for flu-like symptoms peak at around 4.5 percent (the national baseline is 2.2 percent). In fact, the 2016-2017 flu season peaked at 5 percent during the second week in February. However, the mathematical models that generate the forecasts are only as good as the data they use. And just how a population will respond to the flu within each season changes because the viruses themselves evolve defenses against the human immune system. There is no typical way to build a flu forecast, but the goal for each team is the same. For within-season predictions, that means converting surveillance data of influenza-like illness reports and confirmed lab tests into weekly incidence forecasts. Forecasts may also include crowd-sourcing data from social media sites such as Twitter. These models track when and where flu symptoms are occurring, and in which age groups, to create what are called nowcasts. From these the modelers predict the season’s trajectory of flu cases and its peak in severity. 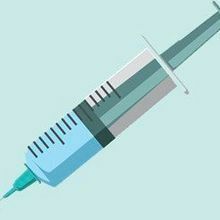 If the teams include epidemiological theory, that would mean taking into consideration how many other people one person might infect given a population’s susceptibility level, including, for example, the use and efficacy of flu shots that season. 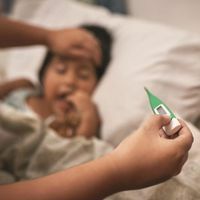 A study published October 25 in Science Translational Medicine aims to bridge the gap between epidemiology and evolutionary theory to give forecasters advanced warning about the severity of the most dangerous of flu strains. The result is forecasting for the season before anyone is reporting getting sick. “This is much more ambitious than what we have attempted, for which the authors should be lauded,” Rosenfeld says. The new report is specific to H3N2, a seasonal influenza A subtype that has been circulating around the human population since 1968. Using an estimate of how likely it is the virus is going to change based on the mutations it’s demonstrated in the past, the model predicts how many people are going to get sick with H3N2 during the upcoming season. Applying their model before the 2016-2017 flu season started, the researchers accurately predicted a high incidence of H3N2 cases. “We use observations up to the month of June preceding the season, and produce the temporal trajectory of the upcoming outbreak for H3N2 influenza. These observations consist of both flu surveillance data and genetic sequence data for the virus,” coauthor Mercedes Pascual of the University of Chicago tells The Scientist in an email. 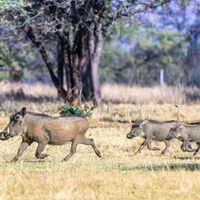 The team incorporated 10 years’ worth of phylogenetic data on how much H3N2 has changed its surface proteins to camouflage itself from the human immune system. Applying their model before the 2016-2017 flu season started, the researchers accurately predicted a high incidence of H3N2 cases. They also went back to previous flu seasons, accurately hindcasting the outcomes of seasonal flu in the United States dating back to October 2002. “The proposed models are simple enough that their parameters can be estimated from retrospective surveillance data,” the authors write in their report. For the United States, this year’s flu season began on October 1, and so far has seen H3N2 dominating, as Pascual’s team predicted. Rosenfeld’s team estimates that the peak in severity will come around the second to fourth week in January, though just how bad it might get is still a big question. Currently, with the exception of Louisiana, most states are still below their usual activity levels. Also this year, the CDC is experimenting with breaking down the forecasts by state, in addition to having national and regional predictions. “This year, we are piloting with teams at the state level. We just started to get state-level forecasts a couple weeks ago,” says epidemiologist and modeler Matthew Biggerstaff of the Influenza Division in the National Center for Immunization and Respiratory Diseases at CDC. Not all states are participating. “It will be useful to see if teams that incorporate state data have higher accuracies than states that do not,” he adds. Illinois, for example, currently is predicting outcomes similar to the national average, though perhaps peaking slightly sooner. On a global scale, the World Health Organization has been providing flu surveillance data since 1947. In 1997, the virologic data were made available online via WHO’s FluNet. Following the 2006 avian flu outbreak, scientific sharing of genetic sequence data was given a priority among WHO member states and the outcome was the nonprofit Global Sharing of All Influenza Data (GISAID), which ensures open access to the data. For example, sharing what happened during the Southern hemisphere flu season can help the Northern hemisphere understand how viral strains have evolved. 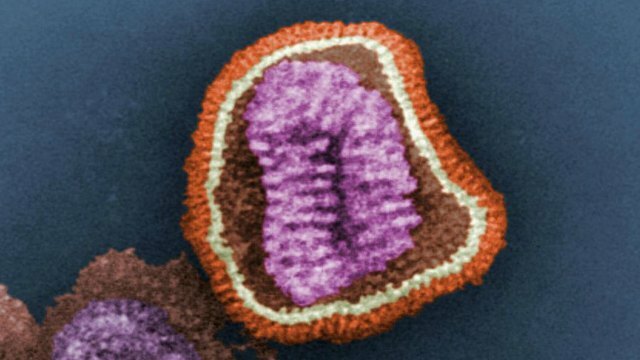 But there is a great deal of mystery still surrounding influenza.